With everything going digital it is becoming increasingly important for us to protect ourselves. You become vulnerable to cyber attacks once you go online, hence some sort of protection is required in order to stay safe. That is what a VPN or Virtual Private Network is for. 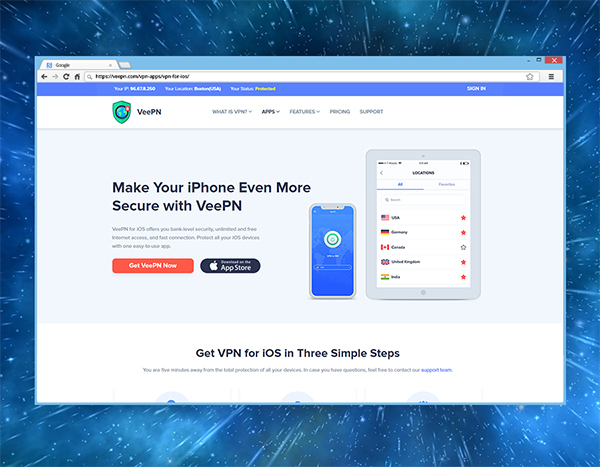 It creates a secure connection between your device and the server hosted by the VPN service. 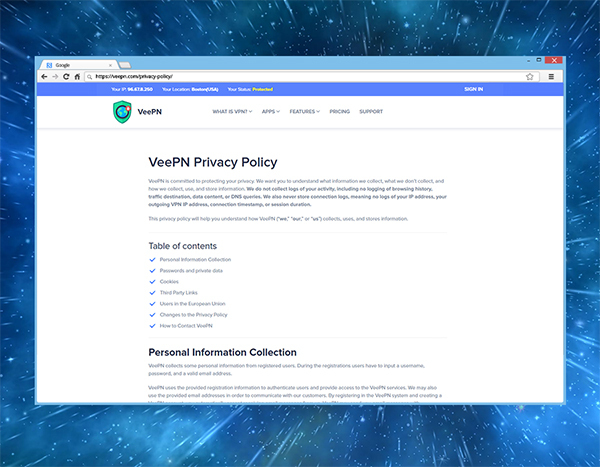 The data goes through the VPN shielding you from everything that is out there on the Internet. 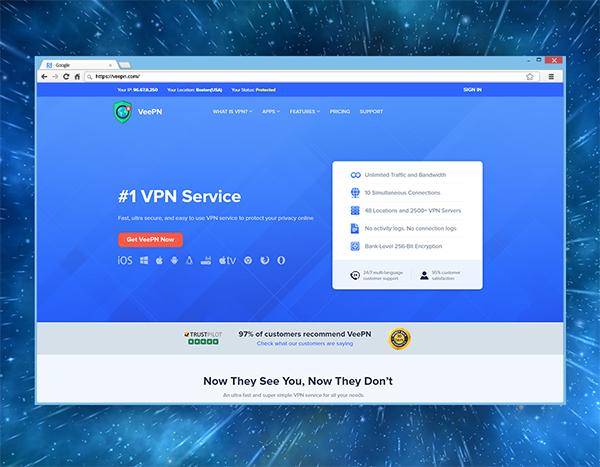 If you are still not convinced on why you need a VPN for going online then continue reading. When you go online without the VPN, then all the data you enter from your own computer goes through the servers of the Internet Service Provider and then on to the website or service you are using. The data can be accessed by the external parties through the ISP which includes hackers, marketers, government agencies and other individuals with malicious intent. You could be subjected from something annoying yet harmless like advertisements to something as serious as identity theft. 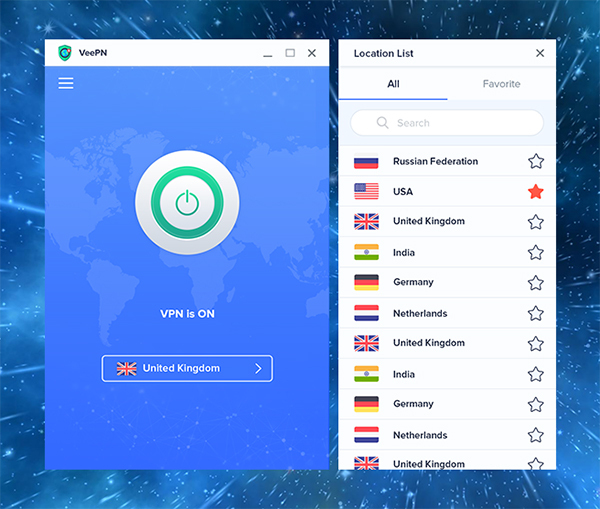 Now that you know the importance of having a VPN you must be wondering which one to get. There are dozens of options available and it is not possible for you to try each one before committing. To save you the hassle, an overview of the services VeePN provides is given here. Custom Encryption: VeePN has developed Smart VeePN, which is a custom-built protocol that can overcome the strongest geo-restrictions. These include the Great Firewall of China and the blocks enforced in the UAE, Saudi Arabia, and Turkmenistan. 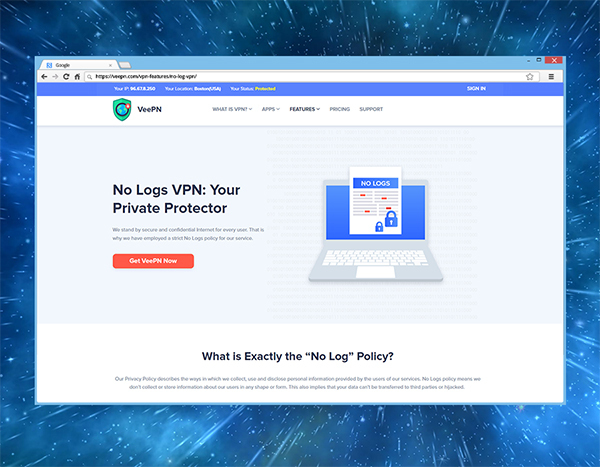 It also covers your traffic, so no one can determine that you are using the VPN. 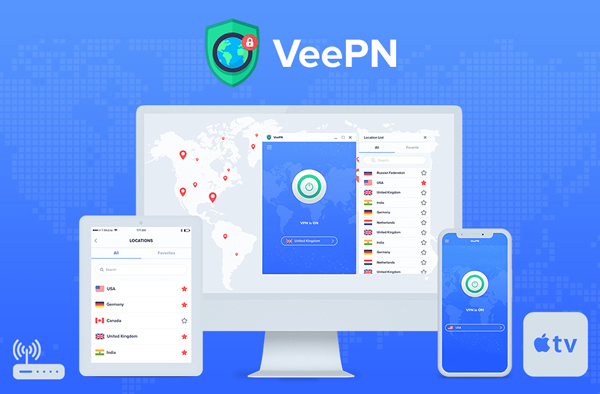 Full Discretion: VPN Service by VeePN doesn’t keep any logs of your connection and Internet activity, so you can operate as an anonymous entity. The service is situated in Panama and they do not save or record their user’s data. There is no law in that country that makes it obligatory for them to do so either. Lifetime Subscription: VeePN offers lifetime subscription at a discounted price for those who are interested. You can purchase the service and then pass it on to a friend or family member when you no longer need it. The monthly cost comes down to an under a dollar if you buy a long-term plan. 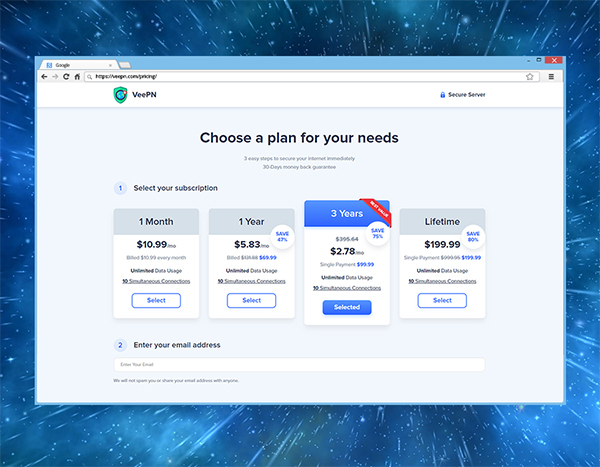 Multiple Connections, Single Plan: VeePN allows you to add up to ten connections under one subscription plan. All your own gadgets plus those of your family members can be protected under the single digital shield. There is also the option to get a lifetime subscription and then share it with nine other friends, so the price comes down to just a couple of cents per month. Available across Many Platforms: Another impressive feature is that it can work with many different platforms and is not just limited to iPhones and MacBooks. You can add the Apple TV, iPad, iPod and any other device that runs on iOS or MacOS. VeePN can also be downloaded on Windows or Android devices. You can protect your gaming consoles, smart speakers and flagship routers as well. The software can run on many devices such as PCs, notebooks, tablets, phones and is compatible with the popular Internet browsers like Opera, Firefox and Chrome. 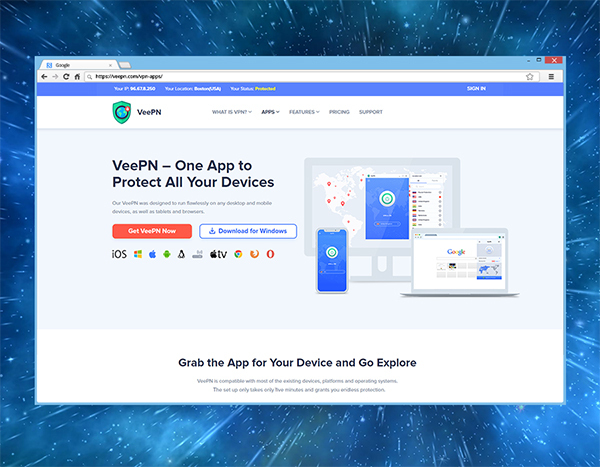 Online Privacy: All the information is kept safe and secure with VeePN because this powerful application is capable of keeping the information secure and encrypted. 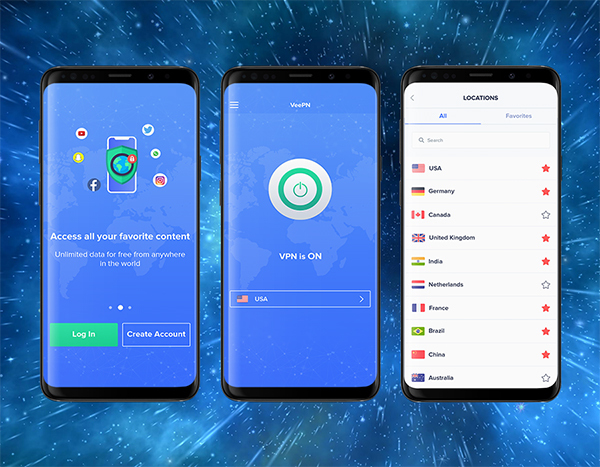 You can choose the subscription plan that suits you and then install the app to continue browsing without fear of any online risks or attacks. The setup of VeePN on your iPhone or MacBook is very simple and takes only a few minutes. All you have to do is sign up and then download the software. Sign up for an account on the website and choose the plan that you want to subscribe to. Download the application on your mobile phone or install the software on your laptop to get started. Open VeePN and get connected by choosing from any of the 48+ servers available.